eBooks about management, leadership, and technology. 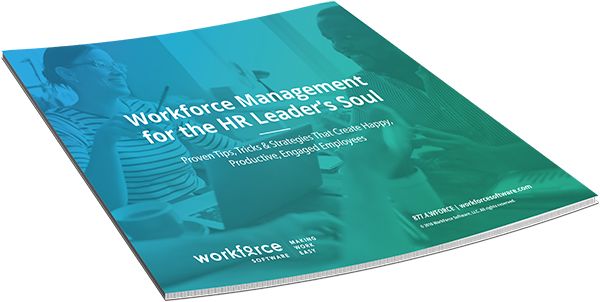 The quintessential eBook for HR Leaders everywhere. Modernize your workforce management style. This book will help. A compilation of takeaways designed to help organizations retain happy, loyal, and incredibly engaged people. All-in-one HR systems seem functionally similar to dedicated time and attendance solutions ... but they're not.